My creepy little story Precious Things has been reprinted in Drabbledark from Eric S Fomley (@PrinceGrimdark), available to preorder from Amazon now! 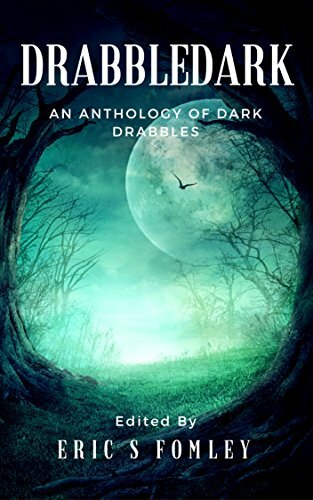 Drabbledark: An Anthology of Dark Drabbles is an anthology of drabbles, stories of exactly 100 words in length. Within these pages are 101 tales of dark fantasy, horror, and science fiction from 87 new and veteran voices of speculative fiction. This anthology combines both original fiction and reprints, with a majority of original fiction, celebrating the power of micro flash fiction in the form of dark plots and themes. To be released on 20th July. Available for preorder now! My SF/Horror story 'Gifted' has been reprinted by the fine folks at Dark Fire Fiction and is now free to read online here! Francie sat cross-legged on the floor. The rough carpet scratched her legs and she shifted position. ‘Concentrate, please, Francie,’ Dr Lomax said. Concentration was a virtue. So was obedience. Francie sat still and focused on the items in front of her: a cotton wool pad, a fifty pence piece, a yellow tennis ball and a large textbook called Gifted: Developing Extraordinary Potential in Ordinary Children by Dr Paulina Lomax. Francie had tried to read it once, to be polite, but she didn’t get very far. She liked the photos of all the brains, though. I’d jotted that phrase down at some point, with the note great title for a story. When I came across it, the idea of the Time Pocket and its ‘gain a year/lose a year’ gamble immediately sprang into my mind as something people might pay to take a chance on (because of course, any supernatural discovery would be instantly commercialised). For most people, the stakes wouldn’t be that high—betting a year wouldn’t bankrupt them, as it were—but there are some, like Disa, where it’s effectively going all in. I’ve still never been able to make my mind up whether I would have a go or not. Would you? Read the rest at Luna Station Quarterly!